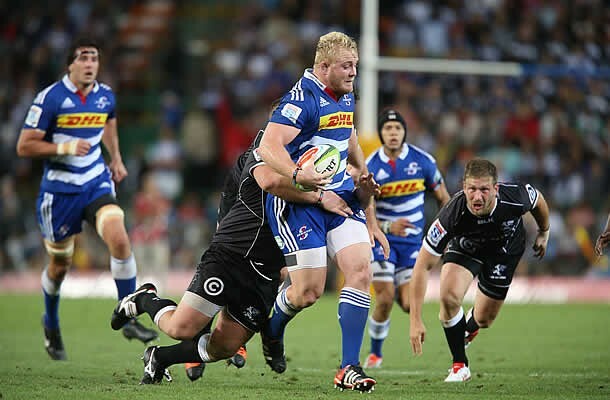 Stormers Super Rugby tighthead prop Vincent Koch has surfaced on the European Rugby clubs’s radar as two clubs are interested in signing him according to reports. The Stormers prop is close friends with former Stormers captain Duane Vermeulen who has moved to Toulon and the same French club are one of the clubs interested in securing his services. The second rugby club said to be interested in signing Koch is Saracens even though he missed out on Springbok selection for the Rugby World Cup squad. Koch’s friendship with Vermeulen could tip the scales in the French side’s favour even though the English side have recently signed another Stormers player in Schalk Burger. Koch’s future plans are currently up in the air, but the 25-year-old is expected to play for the Stormers scrum again in this year’s Super Rugby tournament even though it is believed he has not been offered an increase on last year’s salary. However, his Currie Cup team, the Pumas, are not expected to top his planned move overseas. Koch is not the only South African being pursued. 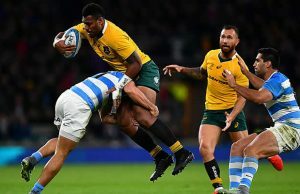 Toulon, who have not found a suitable successor for All Black Carl Hayman and Italian Martin Castrogiavanni, are also after Marcel van der Merwe – another Bok tighthead who missed out on the World Cup. Unlike Frans Malherbe and Trevor Nyakane, Van der Merwe and Koch are apparently not among the 20 players who were offered joint contracts with their unions and SARU so they could join a number of South African props who now play their trade overseas. 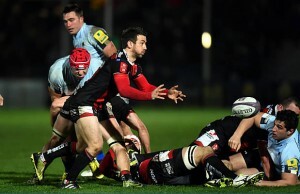 Steven Kitshoff recently joined Bordeaux Begles. Jannie du Plessis’s recent move to Montpellier is seemingly keeping Pat Cilliers keep out of the starting lineup, hence Saracens (where longtime friend of Cilliers, Michael Rhodes, is playing at the moment) will be keeping an eye on that. Others include Ross Geldenhuys (Highlanders), CJ van der Linde (Montpellier), Schalk van der Merwe (Montpellier), Wiehahn Herbst (Ulster), Heinke van der Merwe (Stade Francais) Francois van Wyk (Western Force), Ruan Smith (Brumbies), BJ Botha (Munster), Gurthro Steenkamp (Toulouse), Rossouw de Klerk (Grenoble), Bees Roux (Montpellier) and Brian Mujati (Sale Sharks). JC Janse van Rensburg (Bayonne) and JP Smith (Brumbies) are two props that have moved in the other direction and will definitely add depth to the Cape Town pack. Jacobie Adriaanse is another who is returning home, hooking up with the Kings after recently playing for the Scarlets and Montpellier.